Midterm vacancy • Lawmakers want to clarify the election law, but Herbert worries about potential hopefuls "gaming the system." Scott Sommerdorf | Tribune file photo Gov. 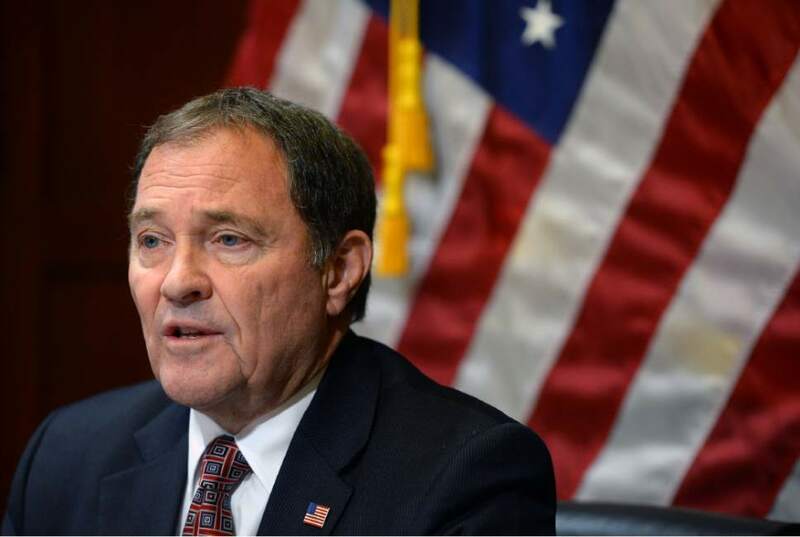 Gary Herbert doesn't see the need for a special session of the Legislature to fill in the gaps of state law to fill a midterm vacancy in a U.S. House seat. He worries that a number of lawmakers looking at running for Rep. Jason Chaffetz's seat would be tempted to use the opportunity to game the system. 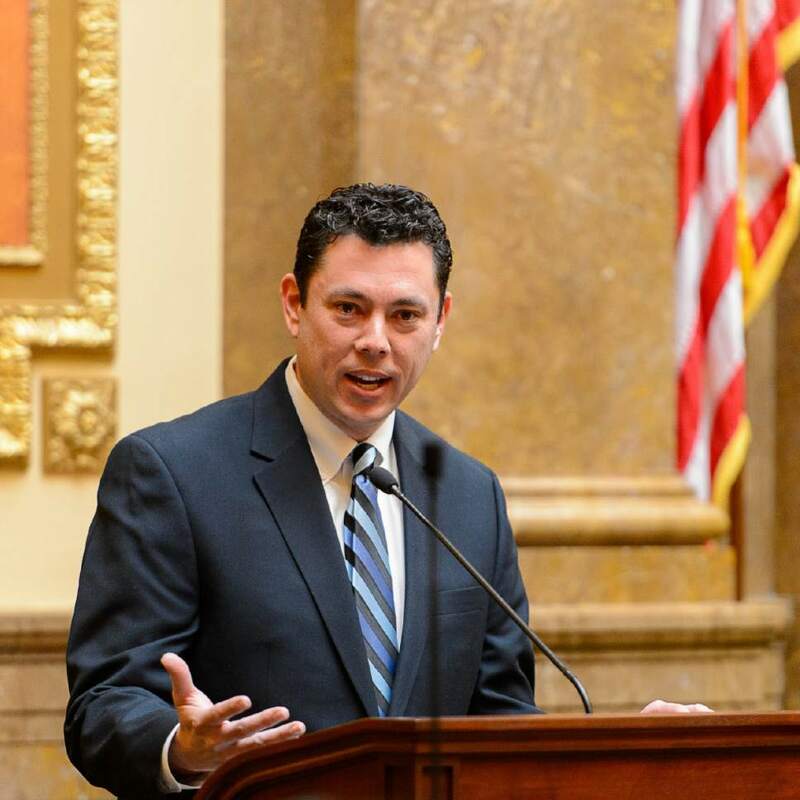 Trent Nelson | Tribune file photo Rep. Jason Chaffetz will miss the Republican National Convention in Cleveland. He will be on a congressional trip to the Middle East and Eastern Europe. 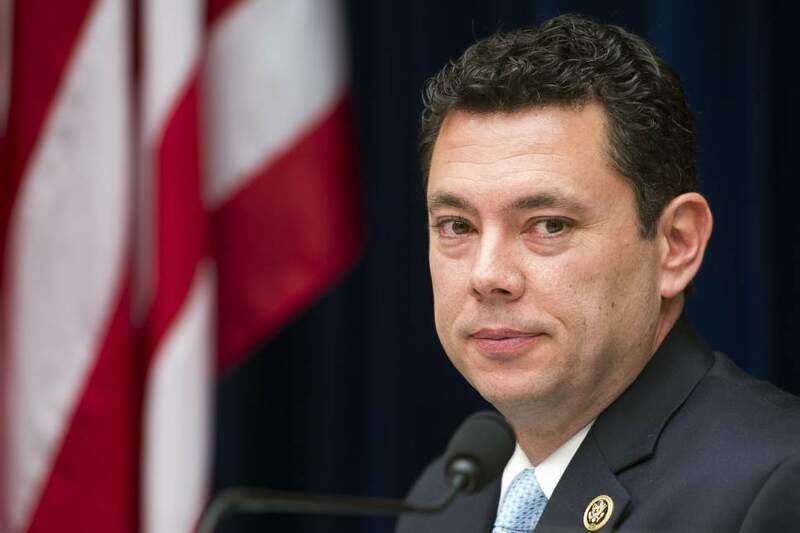 Cliff Owen | AP file photo House Oversight and Government Reform Committee Chairman Jason Chaffetz, R-Utah.. Steve Griffin | The Salt Lake Tribune Gov. Gary Herbert talks with the media during the his availability in his office at the State Capitol in Salt Lake City Thursday February 9, 2017 Steve Griffin | Tribune file photo Sen. Curt Bramble, R-Provo, sponsored several bills that counties say unfairly discount airline taxes to the detriment of homeowners and other businesses, who will pick up the tax burden. Bramble says these claims are not true and that airline property taxes are fair. 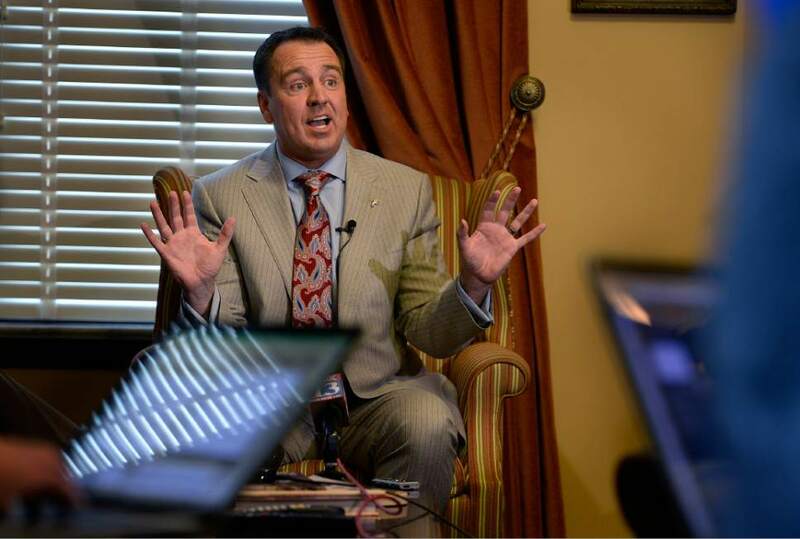 Scott Sommerdorf | Tribune file photo House Speaker Greg Hughes, R-Draper, believes a special session is needed to clarify state law on how to run an election to fill a U.S. House seat that becomes vacant midterm. He is among several state legislators considering a run for the seat now occupied by U.S. Rep. Jason Chaffetz. Washington • Gov. 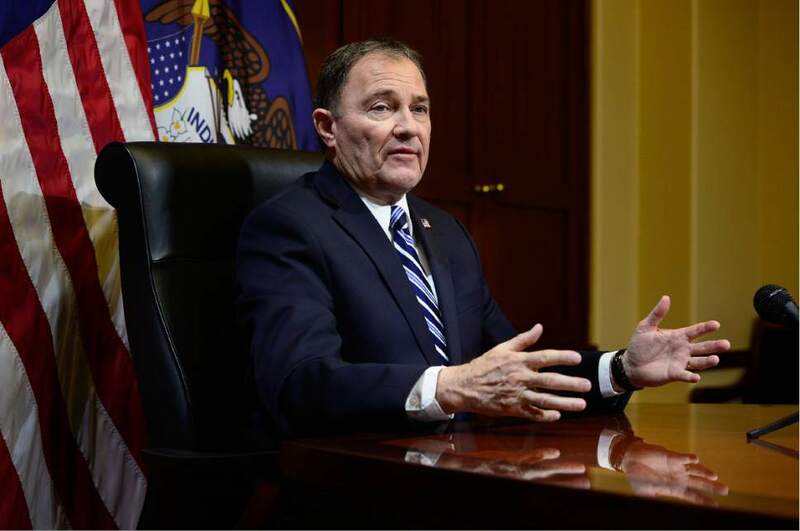 Gary Herbert says he is wary of calling the Utah Legislature into special session to flesh out state law on electing a U.S. House member midterm because a number of lawmakers might have a vested interest in boosting their own chances to win the seat. Rep. Jason Chaffetz says he won&apos;t run for office in 2018 and may step down early, and there&apos;s no shortage of potential candidates, including several state lawmakers. "We don&apos;t want anyone gaming the system," Herbert said in an interview. "We have a number of legislators who are considering running if Congressman Chaffetz steps down. We don&apos;t want it to look like they&apos;re somehow trying to help their own political futures by changing the system on the books now." Herbert sees no problem with current law. "Frankly, I think the laws are on the books now that tell us what we do to conduct elections," he said, adding that the state election office can handle the logistics of a race. "The same process that Congressman Chaffetz went through [to earn his seat], his replacement ought to go through that same process again," Herbert said. House Speaker Greg Hughes, who is considering a bid for the 3rd Congressional District seat if Chaffetz steps down, said a special session of the Legislature is needed to clarify how to run a midterm election. Some lawmakers are concerned that a wide field of candidates without a convention or primary contest could result in someone winning the seat with a small percentage of the vote. Hughes, R-Draper, added that he understands Herbert&apos;s concerns but the Legislature is up to the task. "I appreciate he&apos;s worried about the perception problems we may face in the legislative branch but I will say that if there&apos;s broad support amongst all the political parties or we have a broad desire to get to a special session, I think that counters the perception problem of someone trying to game it," Hughes said Thursday. "If you look at how we fill midterm vacancies, there&apos;s a process in place. This [U.S. House seat] is the only one where we don&apos;t have the [specific] language [as] in other offices. Trying to make our statute consistent like we do with every other office, it just isn&apos;t gaming it." Hughes, who was in Washington for meetings Thursday, said he is weighing a bid should Chaffetz resign but he doesn&apos;t worry about being advantaged or handicapped in how the election is run. "I would argue there&apos;s not a way that you can hold that election that I&apos;d be worried about," he said. Hughes is hardly a lone voice. 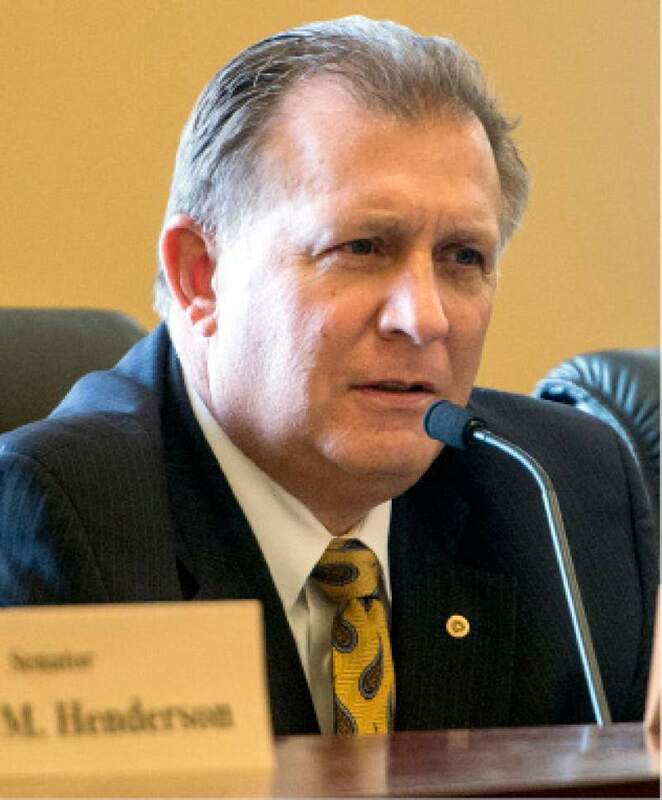 On Thursday, leaders of the Utah Republican and Democratic parties sent a joint letter to Herbert requesting a special session on the issue. "We need a process and we can&apos;t have it be at the whim of whomever is governor at the time," said Democratic Party Chairman Peter Corroon. GOP Chairman James Evans said the parties wanted to offer their perspective to Herbert to show it was a bipartisan request. "I don&apos;t think any of us ultimately know what [the process] will look like, but it should be spelled out in the law, just like other election processes," Evans said. State Sen. Curt Bramble, a Provo Republican who was considering his own bid but now says he may not run, ran legislation during this year&apos;s legislative session to fill in the gaps in the election law but killed the bill in the final hours after conservative House members had tried to strip out a provision allowing candidates to get on a primary ballot by gathering signatures  the same as they can in a regular election. That change would have violated the compromise deal the Legislature struck with the Count My Vote initiative organizers a few years ago. Bramble favors a special session to clarify the midterm election law. As to Herbert&apos;s concerns, Bramble says it&apos;s all about ensuring perceptions aren&apos;t reality. "Conflicts of interests  we deal with that in varying degrees on a regular basis," he said. Utah has replaced a House member only once, after then-Rep. Elmer O. Leatherwood, R-Utah, died in office Dec. 24, 1929, at age 57. His seat was vacant for 10 months while the state went through a caucus-convention system to choose party nominees and voted on the regular Election Day in November to fill out the remaining months of the term and the full term following. Utah and Alaska are the only states that haven&apos;t had to replace a House member midterm because of a resignation, according to Smart Politics, a nonpartisan political news site founded and written by Eric Ostermeier at the University of Minnesota&apos;s Humphrey School of Public Affairs. The list of potential Republican candidates to replace Chaffetz includes Hughes, state Sen. Deidre Henderson, R-Spanish Fork, state Rep. Dan McCay, R-Riverton (although he doesn&apos;t live in the district), former independent presidential candidate Evan McMullin, Provo Mayor John Curtis and lawyer Damian Kidd, of American Fork. On the Democratic side, political newcomer Kathryn Allen has raised more than $500,000 in campaign donations for the race.